As the Partnership and Growth Manager of Choco4Peace, Mr. Matt Whiteman manages key relationships and projects with a wide variety of potential partners that aim to substitute coca production in Colombia by empowering cacao entrepreneurs through innovative financial models and blockchain technology. 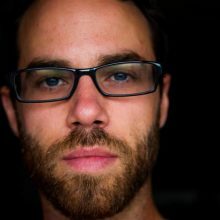 Matt worked for seven years at the University of British Columbia, coordinating research projects, academic departments, as well as Jump Start, the university’s comprehensive academic and cultural orientation and transition program for first year international and aboriginal students – the first of its kind in the world. During his tenure at the Finance Alliance for Sustainable Trade (FAST), he managed the organization’s activities in Tanzania and the Caribbean, building relationships with financial institutions, non-governmental organizations, and small and medium enterprises. Matt has eight years of experience in project and program management, international development, academic research, and community building. He has an academic background in International Development, Human Geography, and Ethics.